Patrick Roger is a renowned chocolatier and a sculptor too. In 2016, Dream On agency created a new logo expressing the unbridled creativity of the chocolatier-sculptor, and made the brand emerge in a disruptive way on the luxury food market. There has been a lot of research on these ever-changing sheaths. 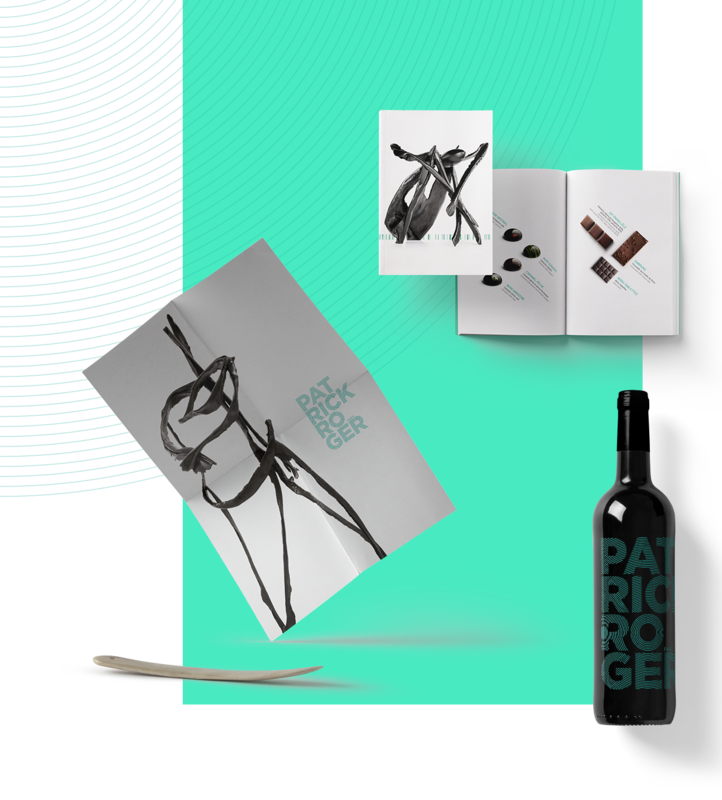 I worked on the concept-design of packaging, shop signs, vendors outfits, wine bottle labels, tablets design, boxes and bags, seasonal chocolate catalogs, for products sold in in Paris and Brussels.